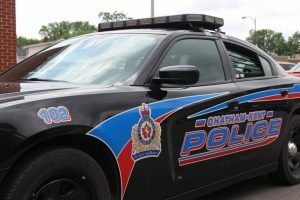 A 52-year-old Chatham man is facing charges after a traffic stop on Bedford Street in Chatham yesterday afternoon. Police say he was charged with driving while suspension and using plates not authorized for the vehicle and will be required to attend Provincial Offences Court on March 6th. The vehicle was towed from the scene and the owner was notified.